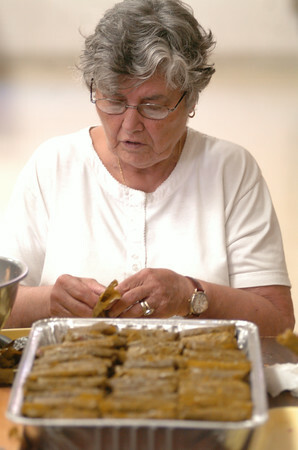 DAN CAPPELLAZZO/STAFF PHOTOGRAPHERNiagara Falls - Joanna Perry, of Niagara Falls, rolls grape leaves and kibbi as St. George Antiochian Orthodox Church members get ready for the upcoming Lebanese Festival in august. The church is located on RT. 31.